A Romanian textile collection has been opened to the public to display approximately 12,000 textiles and tools collected over forty years. The Muzeul Textilelor, owned by Florica and Romulus Nicolae Zaharia and their daughter Ana Teodora Dragus, is the first museum of its kind in Romania and is believed to be the first in all of Eastern Europe. Its focus is on textile materials and techniques used worldwide. Two inaugural exhibitions reflect the type of collection the Museum houses, and its mission. Textiles-Art and Necessity: Highlights of the Muzeul Textilelor Collection displays examples of textiles from various cultures including fabrics made of a wide range of textile fibers, as well as tools, costumes and accessories, and textiles for interiors. 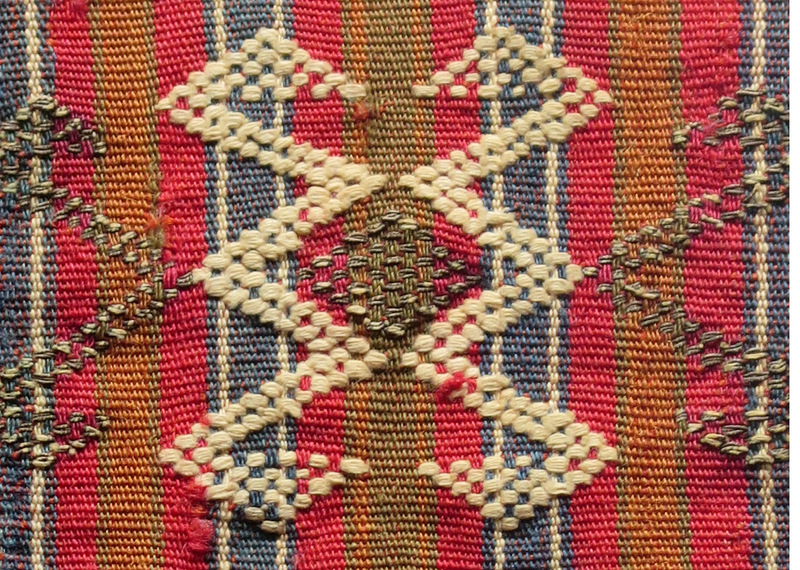 The Mathematics of Weaving: Work by the Students of Hunedoara County, at the Museum’s Art Café, demonstrates the museum’s commitment to working with the young members of the community. Both exhibitions are curated by Florica Zaharia. The Muzeul Textilelor recently received an important donation of 1,871 costumes, accessories and textiles from The Costume Institute at The Metropolitan Museum of Art, in New York. An exhibition“The Opposite Cultures—Romanian and Japanese Traditional Costumes” to open in spring 2019 at the ASTRA Museum in Sibiu, Romania, will be the first exhibition to include pieces from The Met’s donation. Florica Zaharia herself has followed an incredible career as curator and conservator at the Met. She spent twenty-eight years in the Department of Textile Conservation and thirteen as Conservator in Charge of the Department. She holds an MA in tapestry and textile structure and design and a PhD from the Nicolae Grigorescu Institute of Fine Arts in Bucharest in visual arts with a focus on textile materials and technologies.